When Jordie Bennet and Shaw Kinnard lock eyes across a disreputable backwater bar, something definitely sparks. Shaw gives off a dangerous vibe that makes men wary and inspires women to sit up and take notice. None feel that undercurrent more strongly than savvy businesswoman Jordie, who doesn't belong in a seedy dive on the banks of a bayou. But here she is . . . and Shaw Kinnard is here to kill her. As Shaw and his partner take aim, Jordie is certain her time has come. But Shaw has other plans and abducts Jordie, hoping to get his hands on the $30 million her brother has stolen and, presumably, hidden. However, Shaw is not the only one looking for the fortune. Her brother's ruthless boss and the FBI are after it as well. Now on the run from the feds and a notorious criminal, Jordie and Shaw must rely on their wits-and each other-to stay alive. I wish I could have said that I enjoyed this book more. Lately I have been enjoying police novels of all types and this one certainly started off promising enough. Sadly, although I read through it quite quickly, I did not really get that into it and had a fair amount of eye rolling moments. 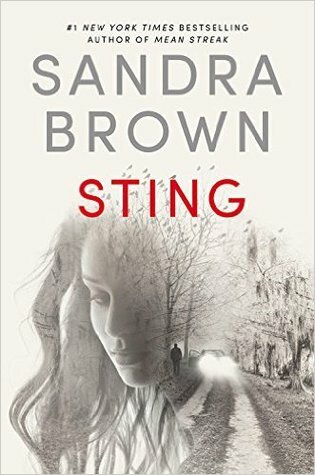 Sandra Brown is definitely a best selling author for a reason though as I am sure that she has her niche market. I just don't buy the bodice ripping schtick that she is trying to sell. Even though Jordie was a likeable enough character (I suppose anyway), I truly did not connect with her character and found her somewhat naive, while being accomplished and intelligent which got on my nerves at times. And I also could not believe the fact that conflicts of interest and ethical dilemmas were so lightly taken within the FBI. Just did not make sense to me. Admittedly, I am not expert but I do not think that a lot of the things that happened in the book would have been permitted to in real life. Honestly, the entire story seemed a bit contrived to me but I suppose that it was a good escape from reality and that I did enjoy it for that aspect. It isn't necessarily something that I would read again but I did have moments that I enjoyed. Thank you to Hachette Books for our review copy. All opinions are our own.